In Rotary’s earlier days it was customary to keep close track of attendance. 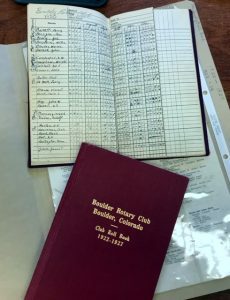 Many Rotarians achieved lengthy records – years! – of perfect attendance. If you weren’t able to attend your regular club meeting, you could visit another club anywhere in the world and get a certificate stating that you made up the meeting you missed. Making up was a wonderful experience of fellowship and meeting people in other places. A well-known Boulder Rotarian, Paul Friggens, traveled the world as a roving editor for the Reader’s Digest magazine. Consequently he was one of the most prolific members in making up missed meetings. Often at a far-off Rotary meeting he would find a source for whatever story he was working on. Once when he was sent off to Kathmandu, his Boulder Bar Committee companions predicted that he would not find a Rotary club in Nepal. Paul insisted that he would. He returned weeks later bearing a makeup card from the first Rotary club to be organized in the Himalayan kingdom. 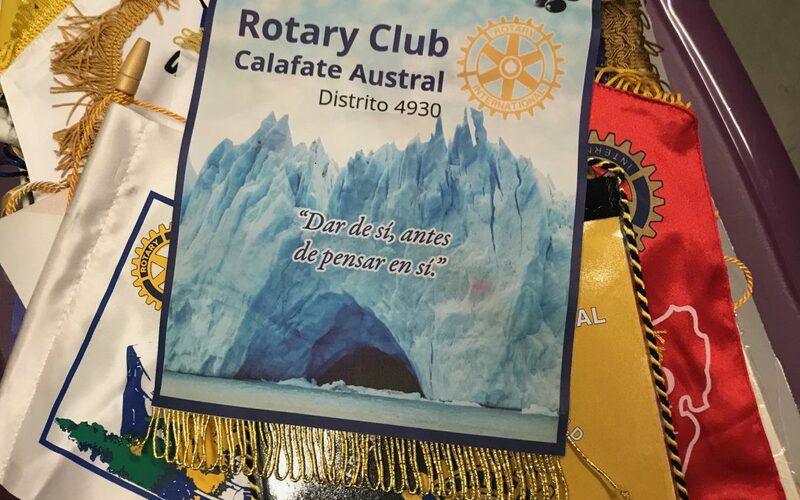 Another tradition of making up meetings is that traveling Rotarians take banners from their home clubs to present when visiting other clubs. Many visiting Rotarians have presented banners to Boulder Rotary, and our collection numbers in the hundreds, if not the thousands. In the past we have displayed them on our tables during meetings. Perhaps we still should! In the 1990s the RiB reported that we had had visitors from all but three of the 50 states as well as all the continents except Antarctica. At the time there was no Rotary club there. Just for your information, there are now two clubs there. The 9-member club of Mariambo Base was chartered in 1997 and the 20-member club of Base Antarctica Esperanza was chartered in 2003. If you’re in the neighborhood, the Spanish-speaking clubs meet on Wednesday evenings.